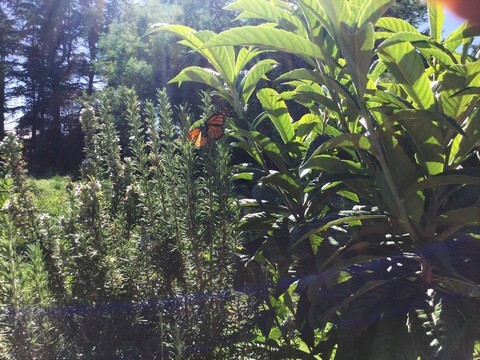 I was walking past a swan plant and a recently hatched butterfly flew into the air. I may have disturbed it slightly. But that was nothing to the disturbance to come. 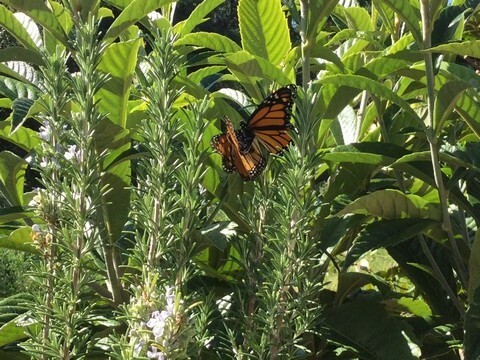 It was joined by another butterfly in the sky and they fluttered together and went down to a bush. That's where they started vigourously mating. There was more wing flapping than I expected. I quickly grabbed my iPad and took a few shots before the pair departed. I have never seen such before and I wish I had taken a video but there wasn't the time to do it. The whole process was about a minute maximum. Here are a couple of shots of the amorous couple.